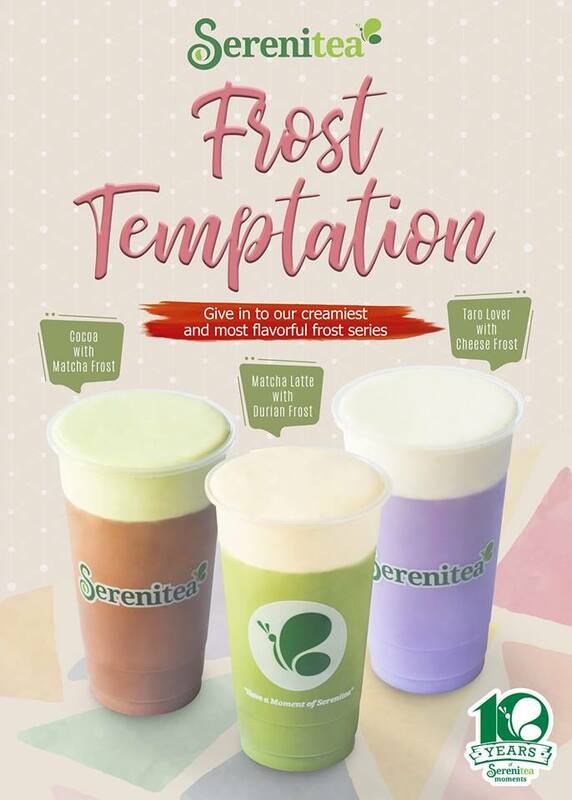 Are you extra enough for the Frost Temptation Series of Serenitea? Home brand partnerships Are you extra enough for the Frost Temptation Series of Serenitea? 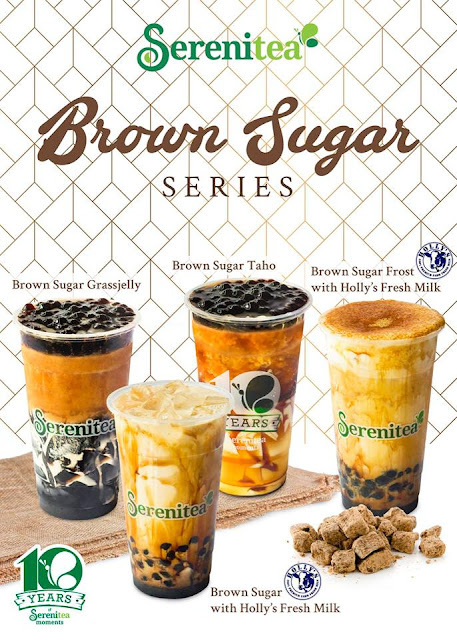 To carry on their century of accomplishments, innovations, and experiences, Serenitea continuously creates products that are more and more exciting while keeping its quality at its peak. From their pioneer branch in San Juan, Serenitea quickly branched out to more than 50 stores nationwide. 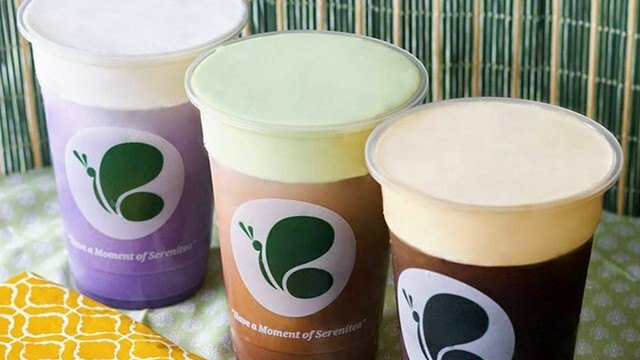 In celebration of Serenitea’s 10th year in the beverage industry on December 19, 2018, they present another series of drinks that are not only indulgent but also new to the taste buds of its customers because of the extra creaminess and extra unique flavors of the new variants. The Frost Temptation Series is composed of three flavors: Matcha Frost, Cheese Frost, and Durian Frost. The Matcha Frost is made from Green Tea powder infused in milk and cream and is best paired with any chocolate drinks and Matcha concoctions just like the Cocoa with Matcha Frost. 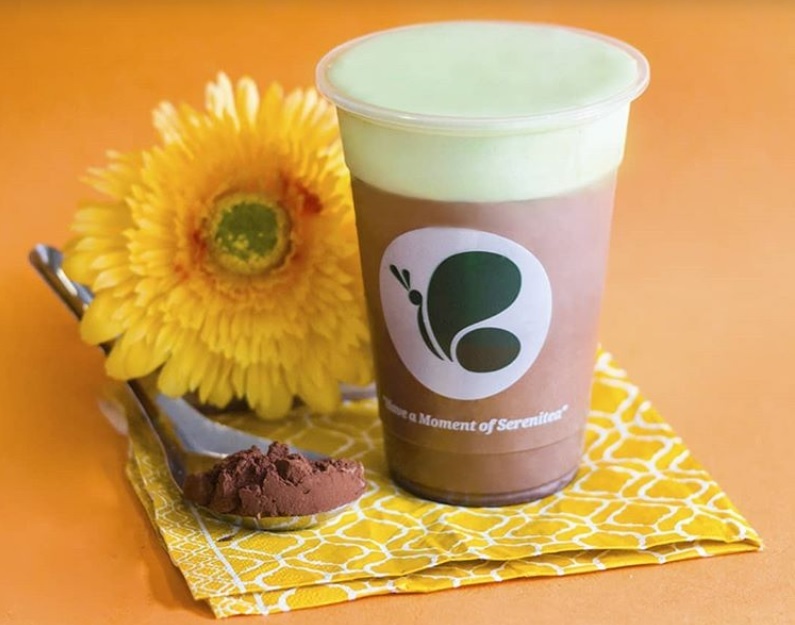 It is a rich and sweet chocolate beverage topped with creamy frost with a distinct matcha flavor. The Cheese Frost is made from cheese powder infused in milk and cream best paired with any of the milk teas, chocolate drinks and Matcha concoctions just like the Taro Lover with Cheese Frost. It is a silky taro drink topped with cream frost that’s mildly cheesy salty. Lastly, the Durian Frost is made from Durian mix infused in blended milk and cream and is best paired with freshly brewed green tea or any of the espresso-based drinks just like the Matcha Latte with Durian Frost. It is milky matcha green tea topped with creamy frost with the exotic flavor of Durian. For those who are always on the lookout to try new flavors of refreshments, then the Frost Temptation Series should be on top of your list! 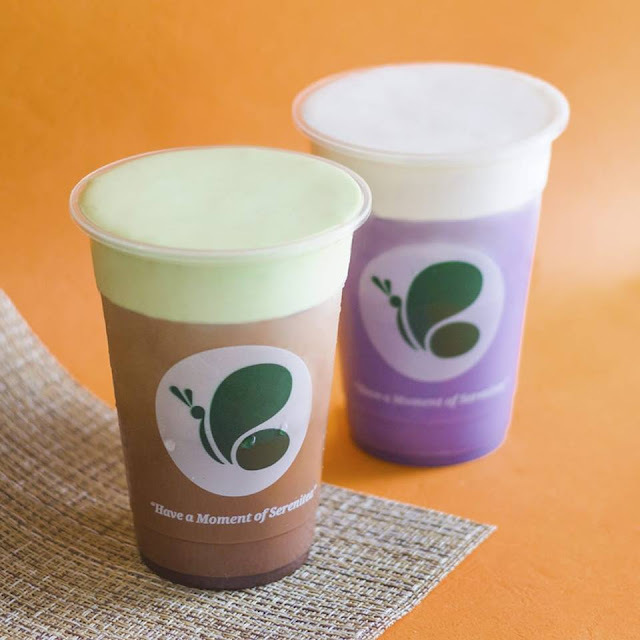 The flavorful texture of the frost makes the Serenitea’s drinks standout all the more, being the perfect choice for those who are not afraid to show a little extra! For the past ten years, Serenitea continues to surprise its customers and fans with its new and refreshing beverages. Although some favorites have come and gone, the country’s most popular milk tea chain’s vast offerings will continue to entice milk tea lovers and foodies from all walks of life. PS. They also offer the brown sugar series now which is my personal favorite to date.